Golmaal Again Fifth Day (Tuesday) Box Office Collection. Huge Again. 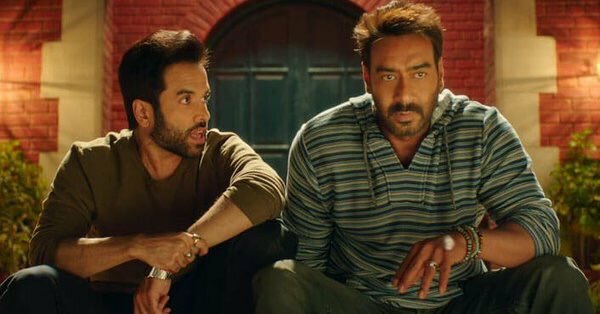 Golmaal Again did huge business again on Tuesday (5th day) at box office. Film collected an approx 13.25 crore nett as per estimates. Drop from previous day is just around 15% which is very much acceptable. Golmaal Again total business at the end of day 5 is approx 116.85 crore nett. Film is pushing towards Highest grossing Bollywood movie of the year surpassing Judwaa 2 and that also inside first week. The way film is doing business right now, week one collection should be in the region of 137+ crore nett. Golmaal Again will attain Super Hit status in few days more. Question is whether film can challenge for Blockbuster verdict and also 200 crore nett in coming days or not. For that film needs to do well in week 2 an week 3 as well. Tuesday - 13.25 crore nett (est). Total - 116.85 crore nett (approx). Diwali winner golmaal again (blockbuster).